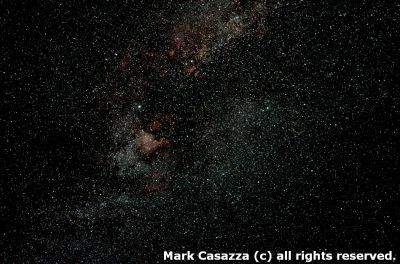 Astronomy blog – Hobby or Obsession? 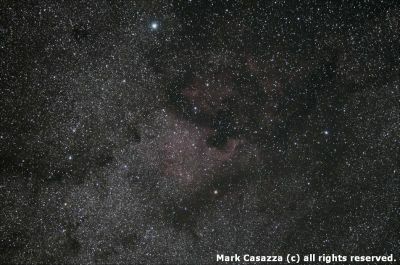 After many years enjoying doing nothing but looking into a telescope and even more years enjoying pretending to be a amateur photographer and several unsuccessful attempts to get into astro-photography on the cheap I finally struck gold on June of 2011. I had just purchased a refurbished Cannon T1i and had it modified for full spectrum imaging and I set it on a rickety EQ-1 mount with an old Olympus lens and I pointed at the object that had been frustrating me visually for years, the North American Nebula. I took 40 images at 40 seconds each. Of those I used 30 for this image. I was hooked! I had tried for years to see this object visually and failed, but this simple setup captured it! It took another 11 months trying to find a scope and mount that would work to get the quality of picture I desired. My C11 was very hard to focus and the wedge was very difficult to work with. My Orion “short tube 80” had major coma around the edges and was riding on top on the C11. I purchased an Orion EQ-G mount in the winter and a Celestron GP-C102 from a fellow astronomer and I was off. This scope had some blue fridges around bright stars, but it was great to learn the craft. It was not long before I revisited my old friend the North American Nebula. Last year I made one more upgrade to get rid of those blue fringes and purchased a Explore Scientific ES ED-127. I am still processing many of these images, but they look real good even though the scope had some collimation issues that have since been corrected. It has been fun and educational. I can’t wait to see what I learn next.